To understand how honey production works, we need to understand more about what goes down inside the hive. The bees begin to collect pollen right now (in WV anyhow) when the maples start to bloom. 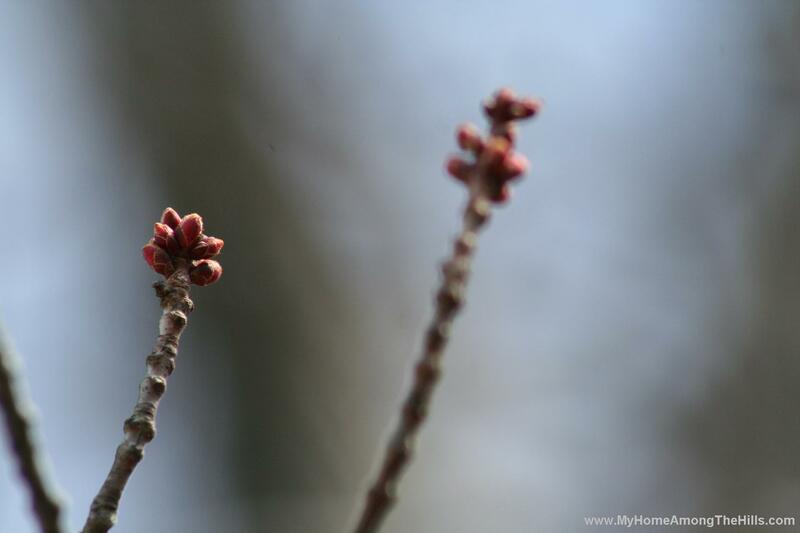 Did you know maple trees actually flower and bloom? Well, they do and the bees count on maple pollen and nectar this time of year to stimulate the queen to ramp up egg production for the coming of the real “honey flow” in about a month or so. Bees use pollen as their protein source which is especially important for the raising of new baby bees. 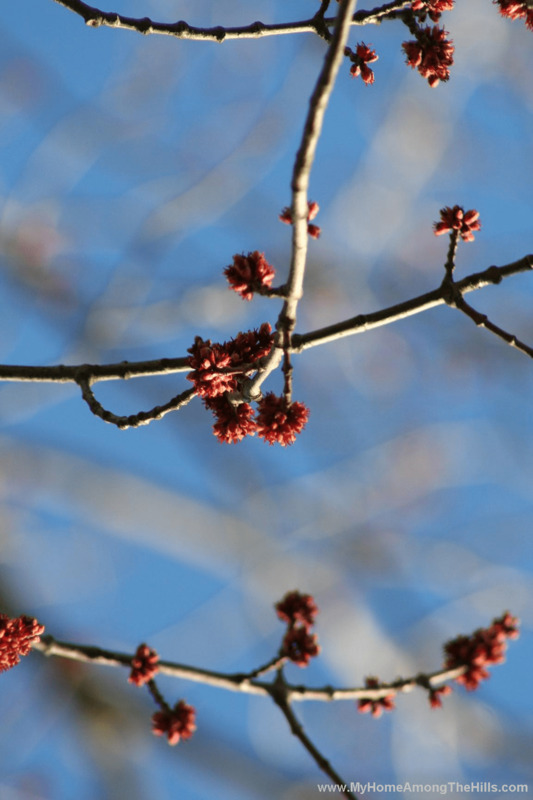 Pollen comes in many colors from grayish green from the maples to bright yellows, reds and blues, depending on the source. Bees bounce from flower to flower collecting pollen in pollen baskets on their back legs (thereby pollinating the flowers) until they have a full load. I have seen bees barely make it back to the hive because they are so loaded with pollen. They come in low and slow, but most make it…slow and steady! So, when these females get back to the hive, other females remove the pollen, mix it with a bit of nectar, and pack it into some of the honey comb. As you have probably seen, hives are typically square boxes. Bees, however, tend to work in circular patterns. Imagine in the box a basketball-sized spherical area where the queen typically lays all of the eggs. In a similar manner, around the brood nest the bees pack in pollen and outside of that they fill in the remaining space with honey stores. So the picture you should have in your head is of a gobstopper where the center is full of baby bees. 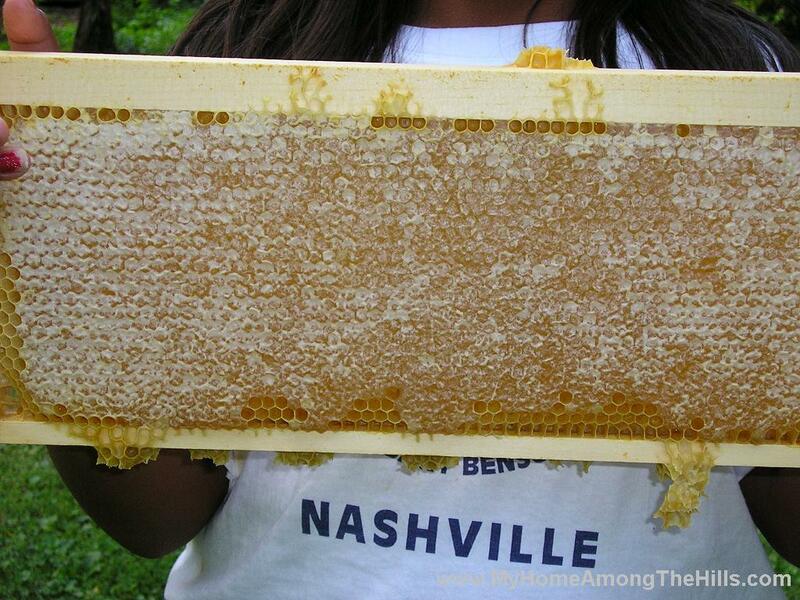 Outside of that, the next layer is pollen followed by honey as the outside layer. So, we have pollen and brood covered. Honey is what it is all about though. Honey starts out as nectar from flower sources including weeds, trees, crops, flowers and everyhing in your garden including corn, squash, and tomatoes. Bees collect nectar in a honey stomach (separate from their gut) using their 3 tongues to draw in the nectar from the base of the flower (usually). Once they are full (after visiting 60 or so flowers), they return to the hive weighing up to 50% more than when they left. Other females help them place the raw nectar into honey comb and begin the honey making progress. Nectar is mostly water with sugars and other things when it leaves the flower source. In order to convert nectar to honey, the bees add enzymes to convert sucrose in the nectar to glucose and fructose. They also reduce the moisture content of nectar from up to 80% down to less that 18%. During the honey flow, many bees will stand at the hive entrance and fan their wings. Other bees throughout the hive also fan. The air flow over the raw honey causes the moisture to evaporate from the nectar. 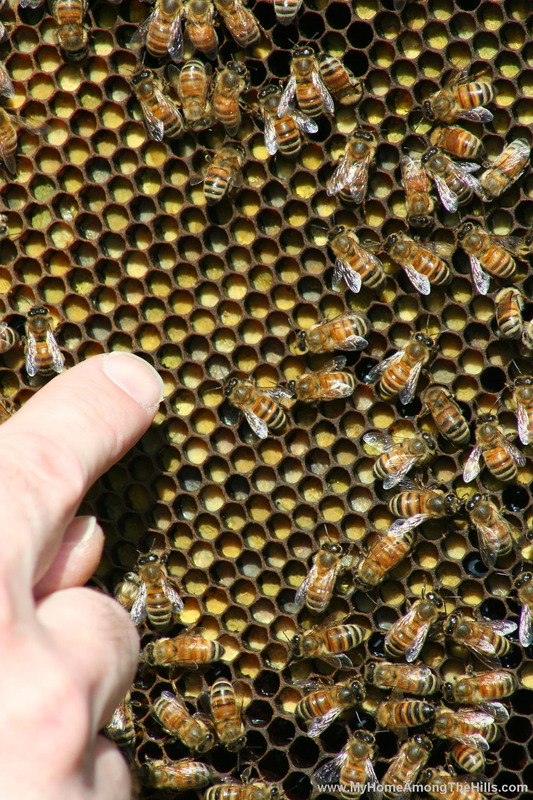 Once the moisture content is low enough, worker bees cap the honey which completes the ripening of the honey. Properly collected honey (i.e. honey collected after it has been capped by the bees), if stored properly (covered in a moisture-proof container) will last indefinitely. I always test my honey with a refractometer to make sure the moisture is low enough to prevent fermentation. Fermentation from excessive moisture is what ruins honey. Some folks think that crystallized honey is bad honey. In fact, all honey will crystallize. The rate of crystallization depends on the nectar source but does not make it bad. Crystallized honey simply can be placed in a pan of very water for 15 or so minutes and it will de-crystallize. Ok, so there is a lot of stuff that goes into making honey. 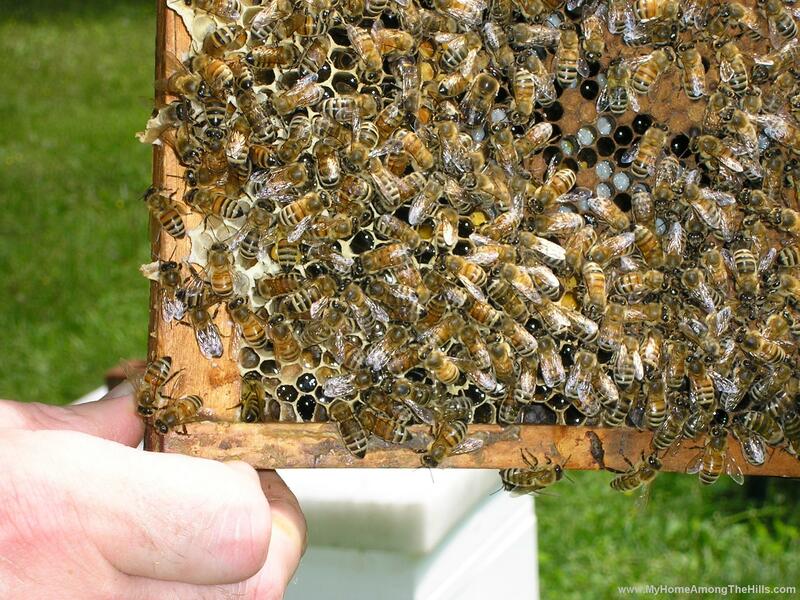 If done properly, the beekeeper can harvest 50-100 pounds of honey from a hive (in WV anyhow) and still leave enough honey for the bees to eat through the winter. I keep honey supers on my hives from tax day until the end of July. There is another honey flow in the fall which I let the bees keep to boost their winter stores. Summer is where it is at for the bees though! And they rock it! Yahoo! First to comment. Wow all of the bee stuff is very interesting. I imagine you probably don’t get stung much anymore. That would be my problem. I also wanted to say nice dancing on your previous post. Wow! Learning so much here. Thanks for sharing it with us warren. Very cool. And maybe I hate bees just a little less than I did a few days ago! Why is it that the pediatrician and baby books advise no honey for children under one? I take it there’s a health issue involved, but have never been able to figure it out. This is very interesting. I learned something new today. Thanks! Awesome. A homeschooler’s delight. This is sooo cool. Thank you so much for sharing this with us. Loretta – I wish I didn’t get stung…but at least I don’t cry any more! farm mom – it’s all about the education! ETW – I am glad you don’t mind bees so much. I can set you up anytime you are ready! As to why babies shouldn’t eat honey…it’s because of infant botulism. Botulinum spores are found widely in soil, dust, and honey. Adults who swallow botulinum spores are almost never affected. When infants swallow the spores, however, the spores can germinate in their immature gastrointestinal tracts and begin producing botulinum toxin (http://www.drgreene.com/21_825.html). YD – I am glad you get something new! freckles – the folks in the first picture at the top are some homeschooling friends…it is great stuff for kids – they love to see what goes on inside! The photo of the capped honey is very cool! Oh, wow, I’m reading your posts in reverse since I haven’t been online as much lately! 50 pounds of honey!!!!!! Cool! St Fairsted – we had a foster daughter when we lived in TN and she liked to help me with the bees…she was a great trooper at harvest time. 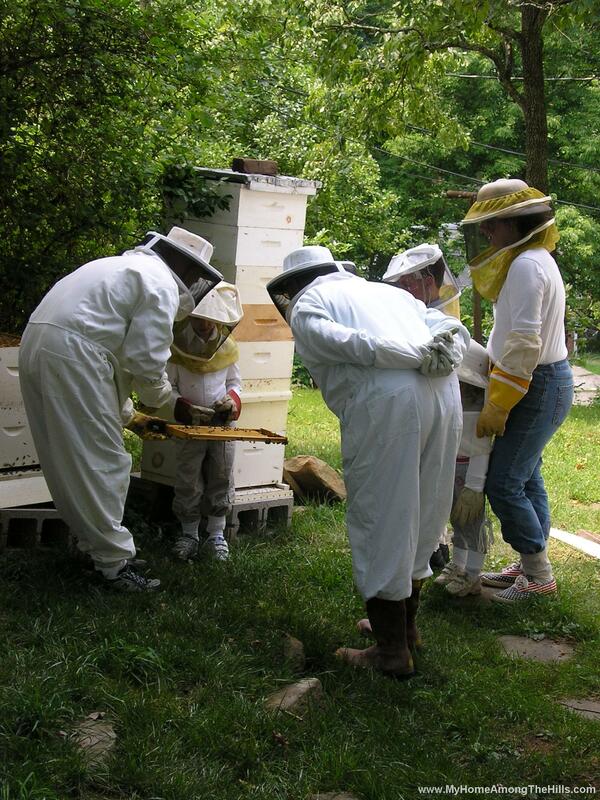 Lynnie – 50 is per hive…so my ten hives give quite a crop. I sell most of it of course. We do eat a bunch though!